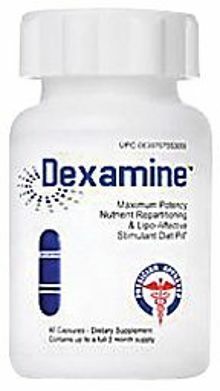 Dexamine is Giant Sports' lipo-affective diet pill. Like all lipolytics, the primary function is to burn fat for energy by mobilizing fat. What is so unique here is that Giant blends two never before used ingredients: the ethanol extracts of Erythropalum scandens (a plant found in the Asian tropics) and Gelidium crinale (a marine algae). This is easily one of the top thermogenic fat burners listed on this site (among the hundreds). It's clear that Giant Sports has the ability to extract some incredible lipolytic agents that other companies have missed. When stacked with Giant Sports' ThyroTwin, the appetite suppression, mood, and energy are all phenomenal. Dexamine contains two new ingredients. And there isn't much research (or even anecdotal reports of use) to judge their possible effectiveness. Erythropalum scandens and Gelidium crinale aren't the only components of this lipolytic. Giant Sports has also added some tried-and-true metabolic enhancers to the mix. Erythopalum scandens was added as a mood enhancer. Based on some promising results in a rat study, it's believed to have anti-inflammatory properties. Gelidium crinale has long been used in traditional Chinese medicine for detoxification and natural weight loss. It is also a natural source of hordenine. Since Dexamine contains a "proprietary blend" of ingredients — 455mg per serving (60 servings per bottle) — we don't know exactly how much of each ingredient is present. Erythopalum scandens is believed to have anti-inflammatory properties and Gelidium crinale is used for detoxification and natural weight loss. It's not disclosed exactly how much caffeine is in Dexamine, but given that it has both black and green tea, and that Giant Sports warns users to not consume synephrine or caffeine from other sources while using it, it's possibly a very high amount. Caffeine acts as mild lipolytic and thermogenic agent on its own, but reaches its peak potential in these areas with relatively small doses. The high caffeine in Dexamine is more likely intended for energy and motivation. Hordenine is a popular dietary supplement used commonly by bodybuilders. It is believed that the hormone norepinephrine is stimulated by its presence in the central nervous system, and that this hormone functions as a liploytic agent. Additionally, there have been some claims of it functioning as an appetite suppressant. Dexamine's Heilong tea is an ethanolic extract standardized for 50% methylxanthine content. It's a particularly potent source of caffeine, more so than most teas. Dexamine's green tea is an aqueous extract standardized for 60% catechin content. The focus of the green tea extract is likely more for antioxidant content than for caffeine, given the aqueous catechin extract, though it does contain some. Giant Sports went out of their way to add goji berry after two UC Irvine medical studies indicated it may have a range of benefits. It has been shown to suppress appetite, improve mental acuity and improve mood in humans. [4,5] Gojilean is a proprietary extract that contains 40% polysaccharide content, the same amount used in the aforementioned studies. Advantra-Z is an ethanolic/aqueous extract of bitter orange. It's standardized for 50% synephrine content, a compound that has been studied since the 1930s and is a metabolic enhancer that also functions as a stimulant (among a variety of other medical uses). Dexamine is taken once to twice daily with 16 oz. to 20 oz. (about two glasses) of water. It should be taken on an empty stomach, ideally at the midway point between meals. Dexamine should not be used if you are pregnant or attempting to become pregnant. It's contraindicated with some medications, so consult a doctor before taking if you are on any or if you have a medical condition. Additional caffeine should not be consumed when taking Dexamine. Check PricePlow to compare prices and get the best deal available. Our newsletter and Twitter feed are also great ways to stay on top of sales and temporary price drops.